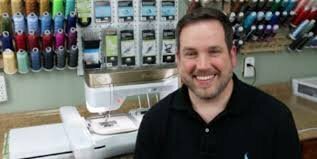 Mike will present a lecture covering new Palette II software, Durkee Frames, Embroidery Works and Embroidery Works Advanced. Whether you own a Baby Lock embroidery machine, or if you are just curious about the NEW Baby Lock Solaris... this will be an enlightening and enjoyable event for you! Call the Shop to sign up and save your spot!